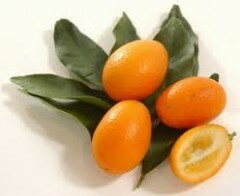 kumquats have polyphenols like green tea and beta-carotenes important for our immune system + they can improve wound healing, help prevent and reduce the severity of colds and flues. 2/3 cup contain more protein than a hand full of nuts. We’re back from here and ready to resume our diets. As promised, we have the salad that brightens winter.